Transform™ is a human assessment system that is a powerful tool for your psychological assessment project. Transform is optimized for many uses including research, organizational development, and self-improvement. Use Transform™ to quickly administer your survey, collect data, and review reports online. Transform gives you 24/7 access to assessments, data, and reports. Your data and scoring file is dynamically updated with each completed survey. Individual and Group Reports become available as participants complete your survey. Every participant has an enduring unique identity. This means you can assess the same individuals or groups across multiple assessments from a variety of topics, making Transform a powerful tool for research and personal/organizational development. Certification is not required to use our assessments. We believe that you have — or can develop — the skills and confidence needed to administer psychological assessments. As soon as you order, you can begin using Transform. Your participants can receive survey invitations within minutes. Individual and Group Reports can be generated quickly, with up-to-the-moment data. Add your own content to our surveys with our fee-based customization service. Send us your demographic questions, other instruments, or informed consent, and we add it to your survey. Your Group Report or Individual Reports can also be customized. Visit our Customization page for more information and pricing. The design of Transform is based on the research method practiced at the Institute of Personality Assessment and Research (IPAR) at University of California at Berkeley (now the Institute of Personality and Social Research). The design creates an enduring unique identity for each participant across all assessments and data. This means you can assess the same person over time and across many instruments, making Transform a powerful tool for research and personal/organizational development. With the purchase of a Transform Survey Hosting License, you get access to administer your survey and your downloadable data file with survey results (raw data and scoring). View Our Products to get started! When you use Transform to administer your survey and collect data, your survey participants take the survey online. As participants respond, the data is collected and you may download it any number of times. The data file is structured with one participant per row, including their raw data and scale scores. Surveys may be administered in several ways on Transform. The methods vary in the amount of effort required by the respondent to enter or participate in the survey, and the amount of control you as survey administrator have over the quality and characteristics of those responding. Examples of administration methods available to you include email-specific invitations from Mind Garden (default), survey link share method, and no-login method. For more information on survey administration options view "Methods for administering self-only (or rater-only) surveys" on our Services page. Note: Multi-rater surveys must be administered using email-specific invitations from Mind Garden. Mind Garden offers interpretive reports for many of our psychological assessments through Transform. All reports showcase data collected from the assessment and many include norm comparison samples, meaningful interpretive text, and developmental tips. An Individual Report and Report About Me showcase an individual’s assessment; Multi-rater Reports and 360 Reports compare the participant’s (or leader’s) self-assessment with the raters’ assessment of the participant; and Group Reports compute aggregate scores for all participants in a campaign. Individual Reports/Report About Me – Includes online assessment and a personalized report. Most reports contain a good amount of meaningful interpretive text and developmental tips. These two report options include the same data reporting and interpretation for any given instrument; the difference is whether you administer the survey to others (Individual Report) or just to yourself (Report About Me). Multi-rater/360 Reports – Includes online assessment and a personalized report, based on the participant’s self-assessment (optional) and the raters’ assessment of the participant. A multi-rater report is a huge timesaver for the survey administrator and can provide a great deal of interpretive information as well as a base for advanced interpretation. Group Report – Allows the survey administrator to have Mind Garden create a report based on all participant and rater input. Group reports can be run on self- or multi-rater assessments. Purchase of Transform Survey Hosting License or Individual Report is required. Check out the Transform Glossary and other FAQs on our Transform "How To" Guide. 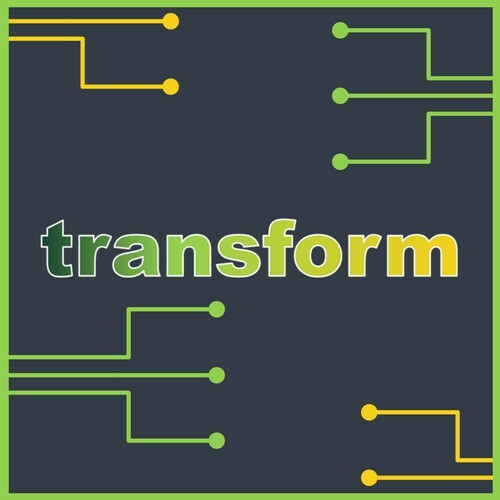 View a list of our Transform Survey Hosting products here. Check out these Transform™ brochures and information sheets!